House exchange for July or August 2006. 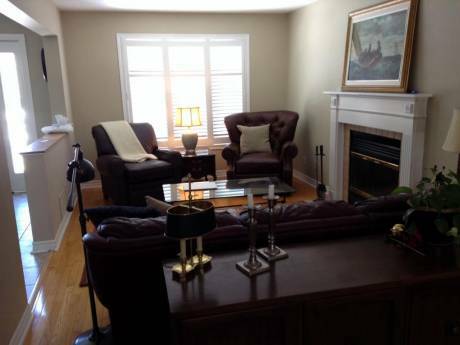 We have a lovely 1872 two story (plus basement), three bedroom townhouse that is located in Sandy Hill, an older downtown neighbourhood of Ottawa, Ontario. The house tastefully decorated with a living room, dining room, and kitchen (plus computer area) on the main floor. Upstairs there are three bedrooms and two baths and in the basement there is a finished play/TV room, laundry/sink/toilet and storage area. Appliances include dishwasher, fridge, microwave and stove. 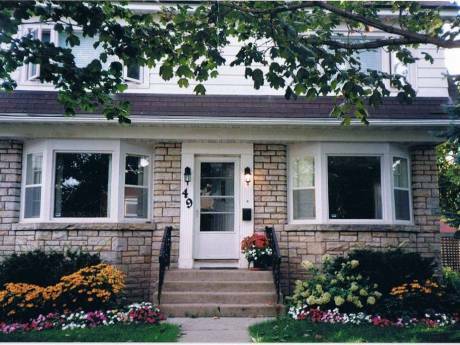 High speed internet, DVD/VHS & TV, Stereo and we are two blocks from the University of Ottawa. Outside there is a back deck with gas BBQ and front verandas off the 1st and 2nd floors. We are a family of four (Brenda 49, David 46, Leighton 14 and Madsen 10) who enjoy travelling, hiking, sports, food, wine, biking, etc. We used to live in Victoria and would like to come back for a couple of weeks to visit family and friends. Contact information: see user info. The neighbourhood of Sandy Hill is situated between the Rideau River and the Rideau Canal, both which have kilometres of walking and biking trails to access beaches and parks. 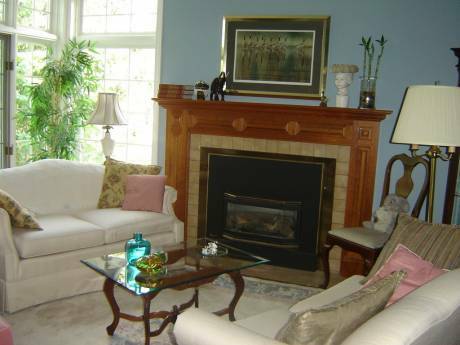 This is a very safe, friendly neighbourhood with lots of amenities within a couple of blocks. We are three blocks from the historic Byward Market bustling with outdoor cafes, produce and flower stands, entertainment, music and specialty shops. There are numberous beaches on the Ottawa and Rideau river and Gatineau lakes - the water is very warm for swimming. It is a beautiful warm part of the year. We are just across the river from Quebec and a 2 hour drive to Montreal. The Canadian Parliament buildings, many of the national museums and the art gallery are all within a 10-15 minute walking distance. There are a variety of events to experience when you are here â folk festivals, chamber music festival, Canadian exhibition and many more. For more information go to: http://www.ottawakiosk.com/august.html. There are many local adventures within a short drive which can be reviewed through www.ottawa.com, www.ottawatourism.org.